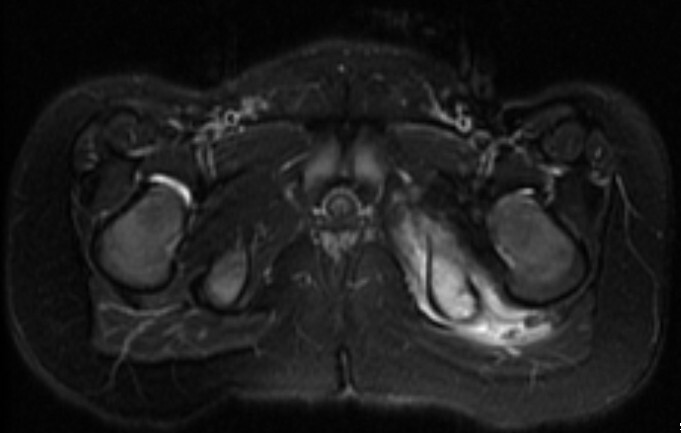 Soft tissue edema is seen near the left inferior pubic ramus, which indicates hamstrings avulsion from attachment site. Pubic ramus fracture, or infection and inflammatory myositis if injury is absent from the clinical history. 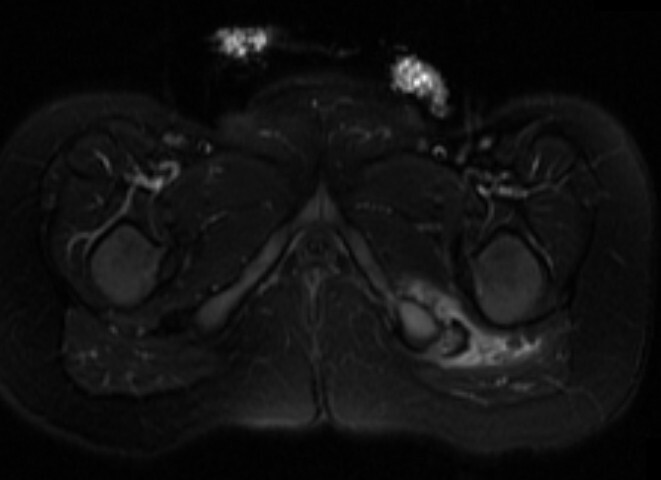 Myositis is unlikely to present as a unilateral process.